These collections feature items that coordinate like custom labels, stickers and postage to make your holiday cards really stand out. Some collections also feature matching decor and accessories like keepsake ornaments. Make it a holly, jolly season with personalized holiday decor. Accessorize your home or give these unique products as gifts. Production and shipping are handled through a partnership with Zazzle and every item comes with their 100% satisfaction guarantee. Designs include full-color printing on both sides and can be customized. Printing and shipping handled by Zazzle and come with their 100% satisfaction guarantee. 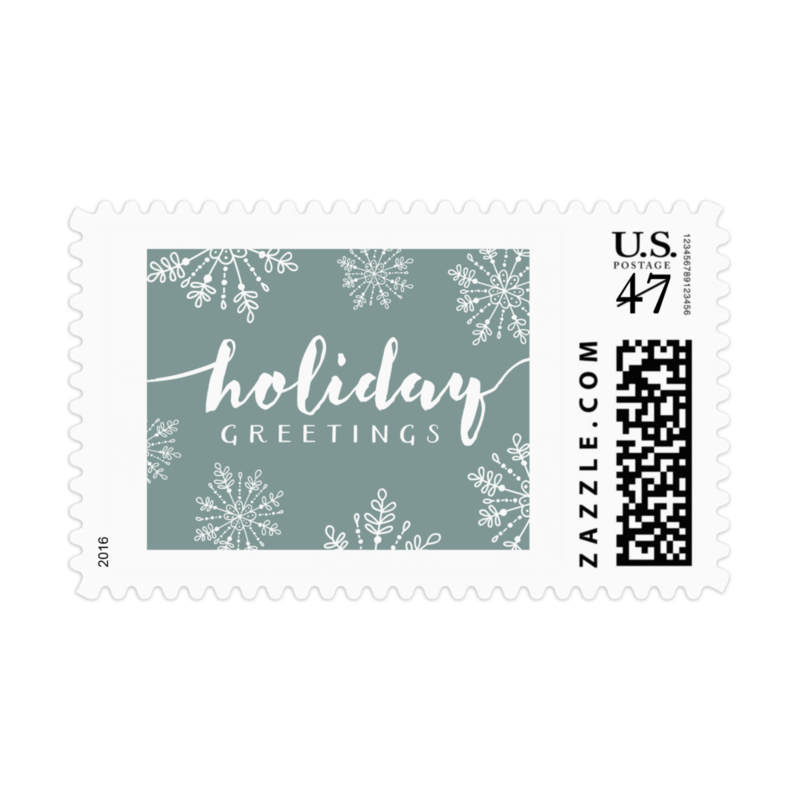 Custom postage stamps will give your holiday cards that extra special something. Some designs can be personalized with a name or year.